NORWAY’S POLICE CHIEF has resigned after a major report found that mass killer Anders Behring Breivik could have been stopped if authorities had intervened in time. Oeystein Maeland took up his role days before Breivik carried out a car bombing in Oslo and a mass shooting on Utoya Island, killing 77 people. He stepped down on Thursday, saying that he could not continue in his role if he had lost the confidence of the Minister for Justice, Grete Faremo. The report published on Monday found that police could have prevented the first of the two attacks and arrested Breivik before he carried out the atrocity on Utoya if they had made use of security measures which were already in place. Norway’s Prime Minister was also under pressure this week after one of the country’s largest newspapers urged him to step down for being ultimately responsible for failures by public authorities to prevent the attacks. 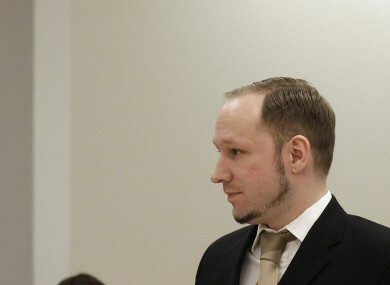 Breivik has admitted to carrying out the attacks but argues that he was a political terrorist who chose political targets. He is due to be sentenced on 24 August. Email “Norway's police chief quits after Breivik report”. Feedback on “Norway's police chief quits after Breivik report”.